Keeping up with social media is like an all-day thing. Really, take a break and you’ll miss the second coming of the Borg or something. Not everyone can spend their day plugged into their various media outlets though. 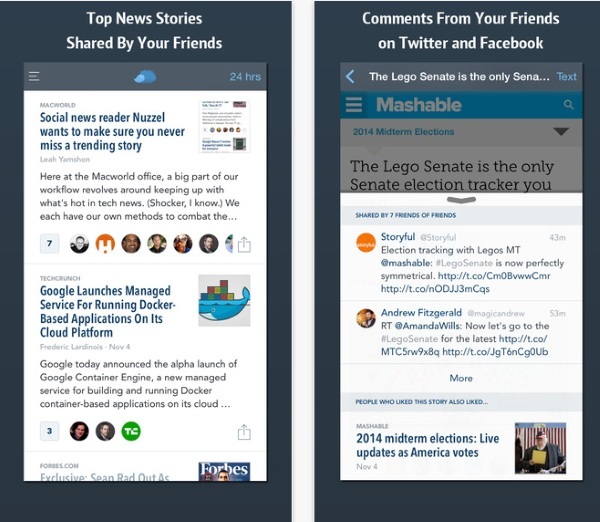 For that, there’s Nuzzle, the app and website that tells you what news your friends are reading. Never again take a break for a weekend only to come back to find your friends all discussing some scandal while you’re completely in the dark about the entire thing. 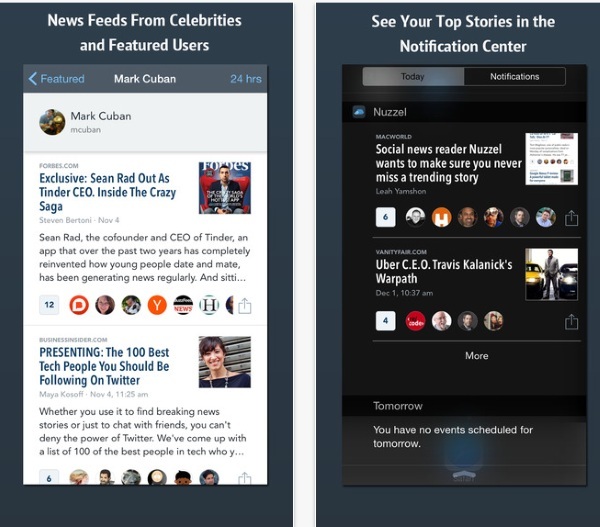 This app syncs up with your Twitter and Facebook and shows you the interesting stories of the day. This is the perfect solution for people who want to know what’s going on the world without the constant personal ideologies. Just the news and nothing more. You can view it in the app or on your desktop. Of course this won’t keep you all caught up on the latest gossip in your friend groups but it will keep you up to date on the celebrity gossip at least. Nuzzle is a free app available for both Android and iPhone as well as the desktop.